This was my 3rd race of the year, I have missed a lot of good races and was able to join only at Condura Run and Globe Run for Home. I wouldn't let this race pass as this was located within our neighborhood. 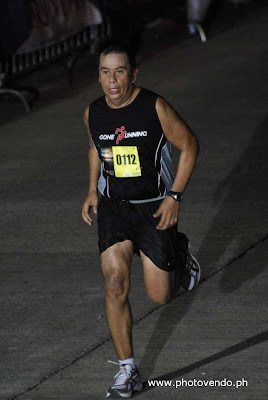 Likewise, the greenfield run was my second run last year where I did a 10 km run finishing at 1:13:10. This time I did a 21k and my plan was to meet sub 2 hr. 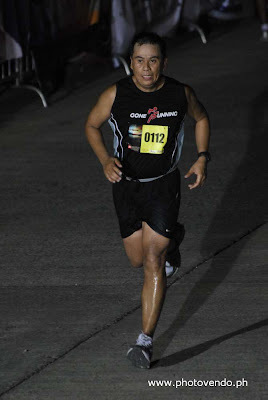 In the last races, I opted to do a 21k run as part of the long weekend runs. After the holy week, we were not able to do any long runs and obviously, since most of the GRC members are within Laguna we joined this race. I felt that I can do a PR on this one as I have seen some progress in my runs. 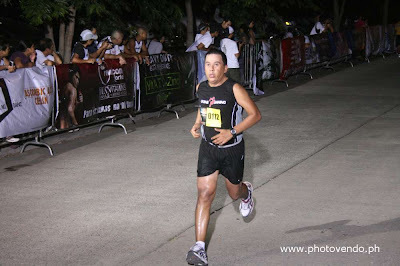 I was able to peg my fastest 10k in 56:48 days before the race and that gave me confidence to run strong in this race. Indeed it was a good race, I was feeling strong in the first 10km where I hit 56:39 (9 seconds better than my training run). I was pacing with Jay until the 12th km, but I started to slow down and cant keep up with the pace. Jay was trying to pull me as he remains steady with the target pace for sub 2hr. I just had to let go since my calves started to get stiff. I made a recovery at km 14-16 but after that I started to slow down again. I was trying to lift my legs, but I can feel the stiffness. I was glad that I came strong in the first half, I was hoping for a negative split, as I usually experience getting stronger at the second half of my run (but that was for 10k), however, I just dont have the leg power to do it. I managed to sprint in the last 200m and finished in 2:08:12 (chip time at 2:07:45). Got a new PR, 8 minutes away from sub 2hr and I believe its within reach. I am happy with the result, I ranked 85th out of the 435 runners which was in the top 20% of the total runners in 21k. Thanks to Photovendo for these photos. Hi Pat, thanks for visiting.. See you soon..